I’ll be a vendor at CrackedPots this year. Artists are selling work that is made with 80%- 100% salvaged materials. 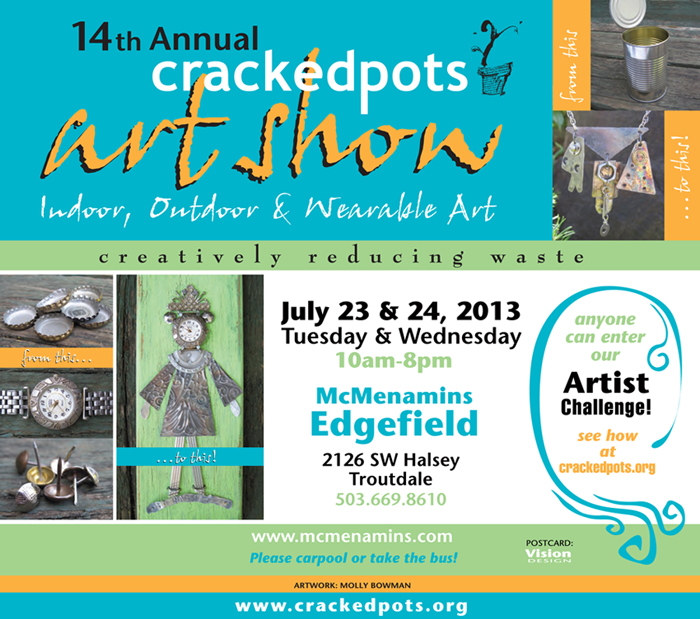 Categories: shows | Tags: crackedpots, edgefield, show poster, shows | Permalink.